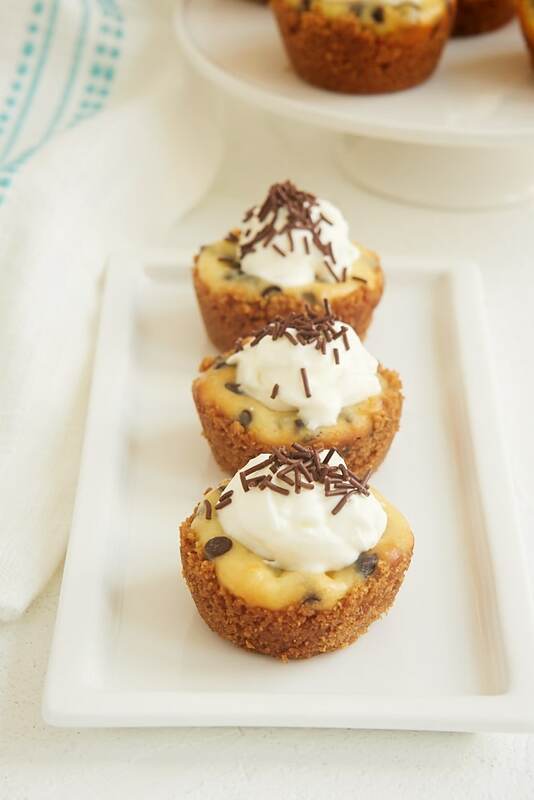 These little Chocolate Chip Cheesecake Bites pack a lot of flavor into a tiny package. A great ( and delicious!) choice when you want simple grab-and-eat cheesecakes! Two things I firmly believe: 1. Chocolate chips make most everything better. 2. Mini desserts are always irresistible. Put those two together, and you know these Chocolate Chip Cheesecake Bites are sure to be a winner! These mini chocolate chip cheesecakes have everything you love about cheesecake in a simpler, two-bite package. If you’re a bit nervous about baking a regular-size cheesecake, then these little versions are a great place to start. Plus, they’re just adorable, aren’t they? 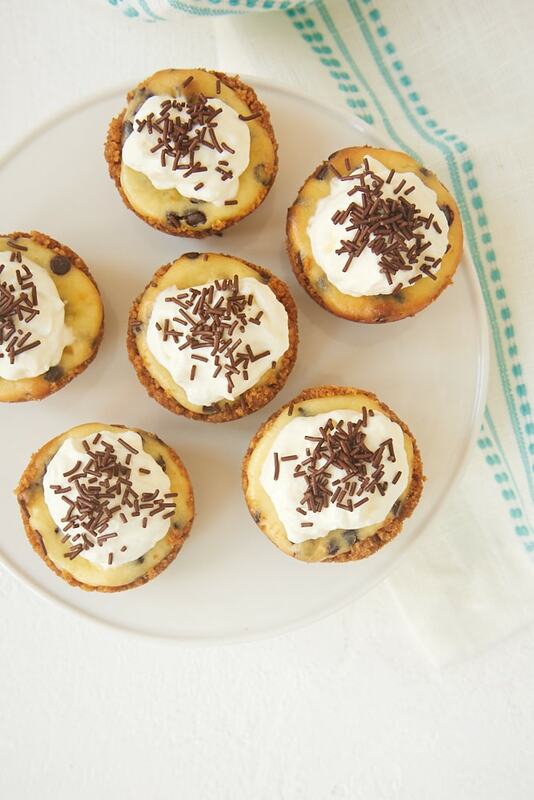 Mini chocolate chips are ideal for these little cheesecakes. 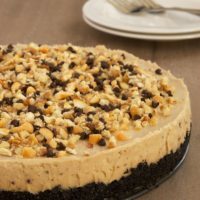 You can use regular chocolate chips, but you’ll only get a few per cheesecake. 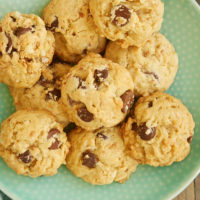 If you can’t get mini chocolate chips, then I’d recommend chopping the regular chocolate chips before adding them to the batter for better chocolate chip distribution. I made the crust for these cheesecakes with graham cracker crumbs. 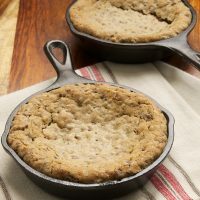 You can, of course, use another cookie crumb for the crust if you prefer. Chocolate graham crackers, Oreos, vanilla wafers, or your favorite crunchy cookie would work, too. These little cheesecakes don’t necessarily need a topping, but I can’t resist a little dollop of sweetened whipped cream and some chocolate sprinkles. They not only make them just a bit more aesthetically pleasing, but the whipped cream is a nice flavor and texture addition. And sprinkles because, well, sprinkles! If you need some mini sweet treats for a party, a special occasion, or just because, give these Chocolate Chip Cheesecake Bites a try. I hope you’ll love them as much as I do! 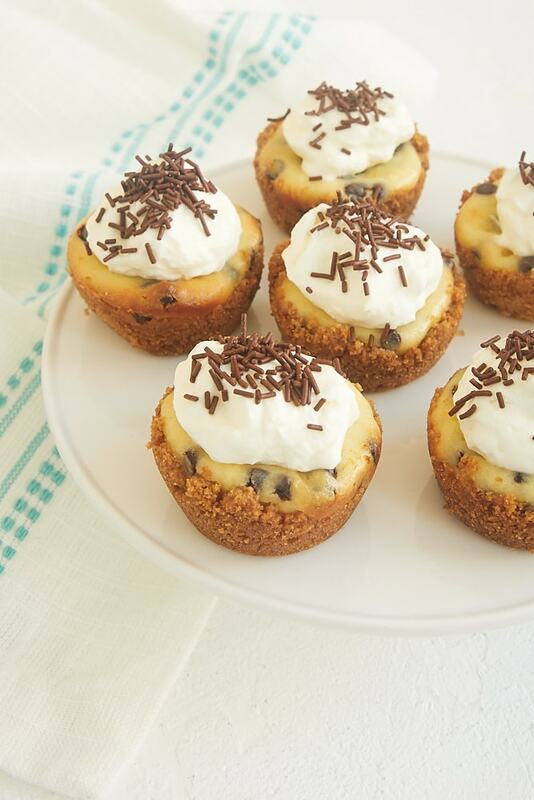 Chocolate Chip Cheesecake Bites pack a lot of flavor into a mini dessert. 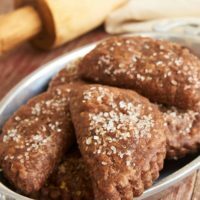 These are a perfect sweet choice for a party! Preheat oven to 350°F. Grease or line 24 mini muffin cups. Combine the graham cracker crumbs and butter until thoroughly mixed. Divide among the muffin cups, using about 2 teaspoons of the mixture per cup. Press into the bottom and up the sides of each cup. 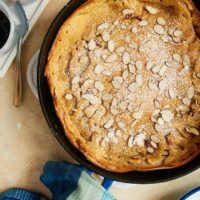 Using an electric mixer on medium speed, beat the cream cheese, sugar, egg, and vanilla until thoroughly combined and smooth. Stir in the chocolate chips. Divide the batter among the muffin cups, using about 1 tablespoon of batter per cup to fill the cups almost full. 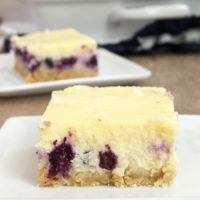 Bake 18 to 22 minutes, or until the cheesecakes are set and the tops are lightly browned. Cool the cheesecakes to room temperature. Then cover and refrigerate at least 4 hours before serving. If desired, top with sweetened whipped cream and sprinkles.